"Thank you so much for an all-round first class service. The Autumn Gold Urn is quite simply stunning. 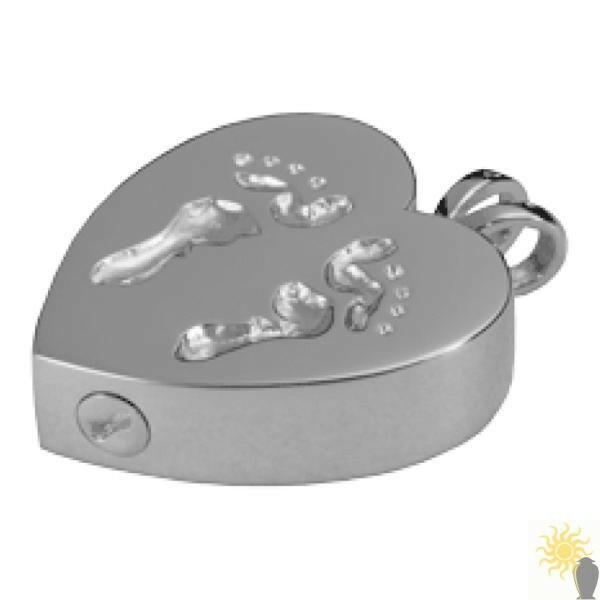 I lost my much loved Dog and needed an exceptional urn for him. The screw lid means his sister can join him later." 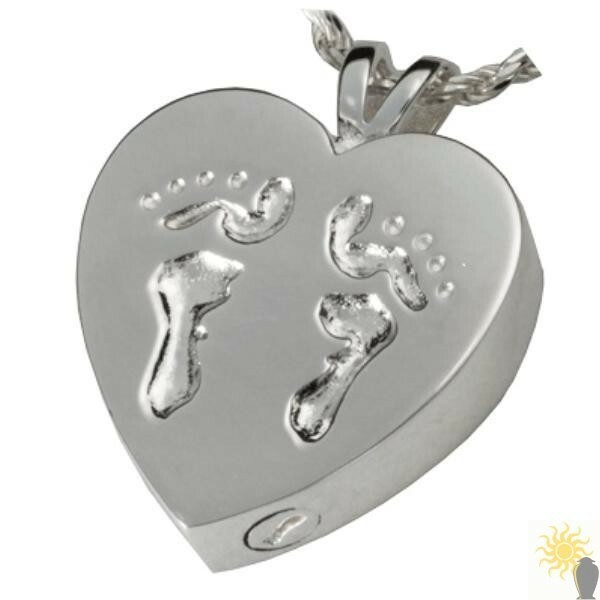 This is the Kensington Heart With Baby Feet and it is a beautiful sterling silver cremation ashes pendant that features a polished silver heart with baby feet impressions. It is supplied with a matching 20 inch rope chain and presentation box. We also provide a funnel and sealant to help fill and secure the pendant.